I just have to link this blog. Margaret and Helen. They are so fantastic. Helen and her writing makes me giggle. She says it as she sees it. She is in her 80s. She is wonderful. So if you haven’t already checked out this blog, you should. Keep on writing Helen. What a birthday. My 2 1/2 yr old son woke me at 6am and promptly started throwing up all over the bed, and me. This went on for the next few hours as we finally fell asleep on the couch. Luckily, he woke a few hours later feeling much better. I, on the other hand, did not. As the day progressed I felt sicker and sicker. I even lost my voice. My sinuses are painful, my throat is sore and I have a tickily cough. What a way to turn another year older. I am hoping that no one throw up tonight. I am hoping we all get well and are able to have a nice few days next week if the weather turns okay. It was lovely today, it would of been so nice to just have a wander around some National Trust site. I have found a new love. 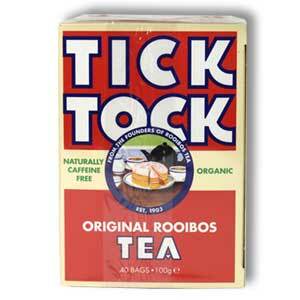 Rooibos tea. There is something addictive about it because I can not get enough. No caffeine, high in anti oxidants. Not a black tea, but not sure if it is considered herbal. No matter how long it stews in the pot it doesn’t go bitter. I will admit that the first few cups I was unsure. This is a very different taste from my normal cuppa. Mild, no bitterness. So I gave it a few days. It grew on me. Either that, or they add something to it. I now am choosing it over coffee. Who would of ever thought. I will say this, I am feeling better for it. Go on, give it a go.